Green light for safety – check the functionality of torque tools every day with Wiha Torque QuickCheck. Applying the wrong torque can lead to serious consequences during delicate screw fastening tasks. The result is often damage to materials, a great deal of rectification work or warranty claims. 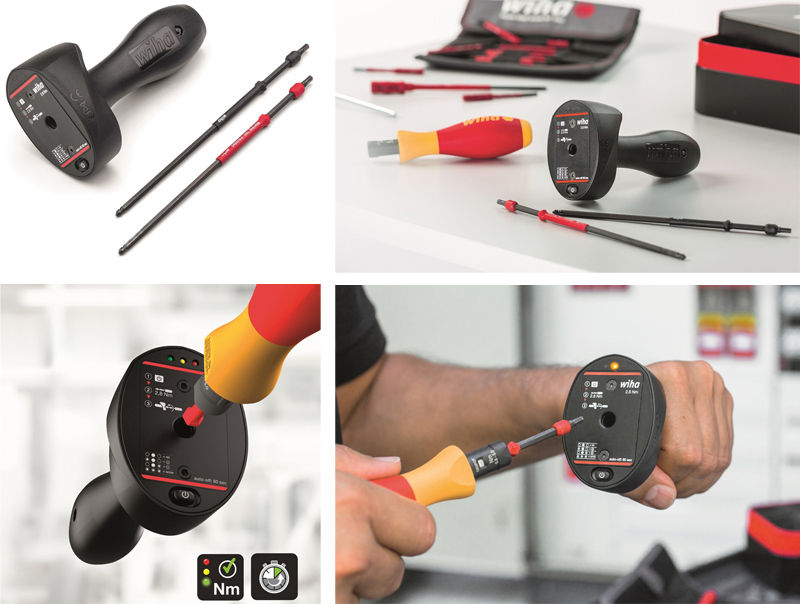 The Torque QuickCheck enables a quick and easy functional check of the Wiha torque screwdrivers before each use. A regular tool check guarantees secure and controlled work. The Torque QuickCheck also impresses thanks to its user-friendly testing procedure: the respective Wiha torque screwdriver is inserted into the Torque QuickCheck together with the enclosed adapter blades and checked at 2.8 Nm. The result is clearly indicated by a traffic light colour LED light. Thanks to its compact and handy shape, the Torque QuickCheck is the ideal companion for mobile appplications. It’s a familiar situation for users. After the recommended period of one year or 5,000 couplings, it’s time to send the torque tool off for calibration. The result: “Out of tolerance”. Now, you have no idea how long, for which customers and with which inaccurate torque value you’ve been working and tightening. As a user, you have to take a decision: do you have to check all work carried out during the last period? Or do you take the risk of having erroneously fastened something with the wrong torque and therefore having caused acute or consequential damage to material and equipment? This is where the latest innovation from the hand tool manufacturer comes in. With the help of the Torque QuickCheck mobile tester, a daily check can quickly ascertain whether the torque tool being used is still working. This assurance offers users and businesses savings both in time and money by avoiding warranty cases and follow-up work. The Wiha Torque QuickCheck is a rapid testing device, guide and supportive component for increased safety in torque fastenings, and is ideal for all Wiha iTorque® and Torque Vario®-S torque screwdrivers that can be set to the check value 2.8 Nm. It should be noted, however, that the new rapid testing device by Wiha does not replace the need for recorded calibration.